A recent Robert Half survey indicated that company culture is important to both job seekers and to employers. In fact, 35% of job seekers wouldn’t take a job where they weren’t a good fit with the company culture—even if that job was the perfect position for them otherwise. As you embark on your 2019 job search, it’s important to be cognizant of this, both to maximize your chances of landing an interview and to help you land a job that will be good for your career and for your professional satisfaction. I spoke with Robert Half’s metro market manager, Luke Statmann, about how the emphasis on company culture can impact job searches. Bottom line: do your research and be aware of company culture as you move through your job search and consider accepting positions. Why Is Company Culture So Important? You might think if you have the right experience and the right skills for a job that you will be able to excel and be happy in the position no matter what the company’s culture is. According to Statmann, a mismatch in employee and company culture can have consequences for both the company and the employee. “When there is a mismatch in corporate culture, both employee and employer lose out. Time, energy, and money are just a few consequences that occur with the wrong match,” he says. If you’re working in an environment that’s not a good fit for you, chances are good that you won’t be able to use your skills to the best of your potential, explains Statmann. Clearly, that’s not good for you, and it’s hurting the company if you aren’t being used to the best of your potential. You may find yourself stalling out in your career, and quite possibly frustrated and unhappy. That’s why just as you are looking for a company that is a good fit for you, managers are looking for hires that are a good fit with the culture, not just with the skill set required. And company culture matters whether a company is a huge corporation or a small family business. You might think that a small company will be less likely to have an oppressive company culture, or that a large company will let you just kind of hide from it among the hundreds of employees. However, Statmann makes it clear that’s just not true. Every company has a unique culture, and that culture will affect you as an employee—especially if a hiring mistake is made. “Corporate culture fit matters for all companies regardless of size because when a hiring mistake is made, staff morale and productivity can suffer,” he says. How Do Hiring Managers Screen Candidates for Company Culture? With the importance of company culture becoming clearer, recruiters and managers do have ways of screening candidates to determine if they are a good fit. Statmann says that it can be tough to glean a candidate’s culture fit from a resume, but a cover letter and an interview can be good indicators. As a job seeker, if you do your research about a company in advance and believe you are a good fit for their culture, indicate that in your cover letter. According to Statmann, hiring managers concerned with company culture (which seems to be most of them!) will look to a cover letter to see if you directly address how you fit in with the culture in your cover letter. At an interview, they may also directly ask you questions about their company culture and how you would handle certain situations that come up. If you have done your research and know you are a good fit, you can have answers prepared and properly framed to indicate why you are a good fit. How Can I Figure Out a Company’s Culture? Statmann explains that companies who are concerned with company culture will (or should) give a good idea of their culture on their company’s website. Here are two examples of company websites that give a good idea of company culture. Empowerment, teamwork, community, and an ability to express yourself seem to be important to ModCloth. Here, the company seems to have a commitment to customer service as well as helping you move up the career ladder. If you’re an accountant and see accounting positions open at both of these companies, it’s pretty easy to contrast their company cultures based on this information. Would you rather work in what seems a more creative environment with a focus on teamwork and community, or an environment where you’re surrounded by ambitious, career-oriented people who are attending trainings and conferences? Neither is better or worse than the other, but one might just be much better for you and your personality and goals! The more job postings you read and the more websites you visit, the better you will get at assessing company culture. Statmann also recommends that employers should include recent accolades or news items in their job postings. Keep an eye out for these, and you will see what kinds of accomplishments the company celebrates. If many are community service or donation-focused, that might align well with your concerns about social issues. If all are about promotions from within, that might align well with your career goals. 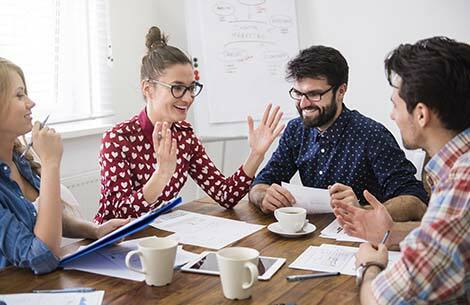 Employers and employees are impacted by company culture. During your 2019 job search, you may find yourself facing more questions than you expected about culture and personality. You should also be asking about culture in interviews. It can show genuine interest in a company, and your desire to fit in well and make sure you are a good fit, setting you apart from those interviewees who just want a paycheck and won’t be truly invested in their work. For more about Robert Half’s survey and recent report that I cited throughout this article, click here. Are you tired of your resume being rejected by applicant tracking systems? I know how frustrating it is to submit your resume and receive no response. I hate seeing qualified people never breakthrough the screening process. It shouldn’t be that way. That’s why I created this guide and I encourage you to download the FREE PDF so you can start seeing better resume response rates!